I know – it’s been a long blogging lapse for this primate. I have a good excuse…well, an excuse, in any event. Over the past two years, I’ve been working on researching why Live Oak, the unincorporated urban community between Santa Cruz and Capitola (where I and about 25,000+ others live), never annexed to our adjacent city of Santa Cruz, or Capitola, nor was it incorporated as its own city. And also, why the road across the gulch – Arana Gulch, which separates Live Oak from Santa Cruz – was never built. This all came down back in the 1960’s & 70’s. I’ve tried to explain it all in a new piece written for our local Santa Cruz County history journal. Well, not really ‘all’…I had to shorten my original draft by nearly half, but, (one hopes), it’s the essential half of the story that survived. 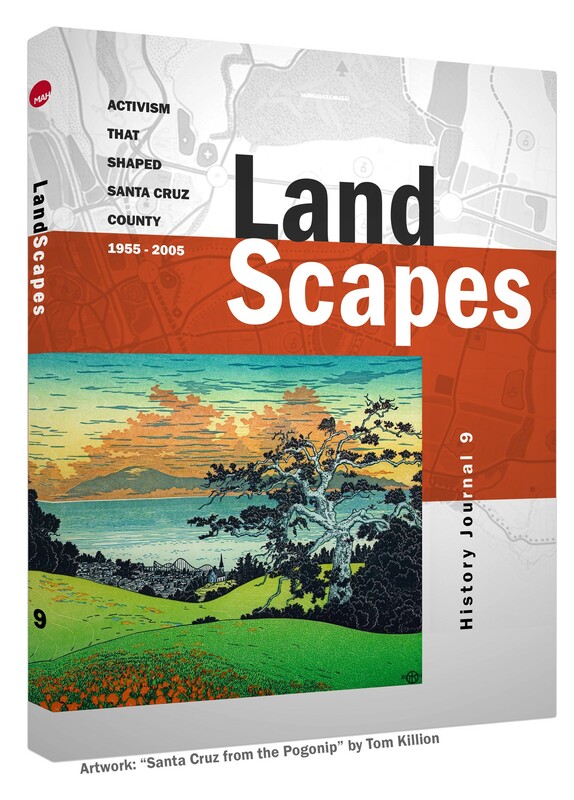 The article, “Between the Gulches: The Twin Fates of Live Oak Cityhood and the Broadway-Brommer Road“, sits in the good company of other stories of that era in this new History Journal Number 9, LandScapes: Activism That Shaped Santa Cruz County 1955-2005, published by the Santa Cruz Museum of Art & History (MAH, 2018, available at the Santa Cruz MAH, Bookshop Santa Cruz, & Amazon). Here’s the link to my Live Oak history article. As a long time member of the MAH board of trustees, three years ago I was appointed as the board representative on the MAH History Publications Committee (…I think they didn’t know where else to put me, loud-mouthed old lady that I am, plus I was already committed to this article – no clue about what it would mean!). My tenure coincided with the three years of creating, editing and publishing this journal. 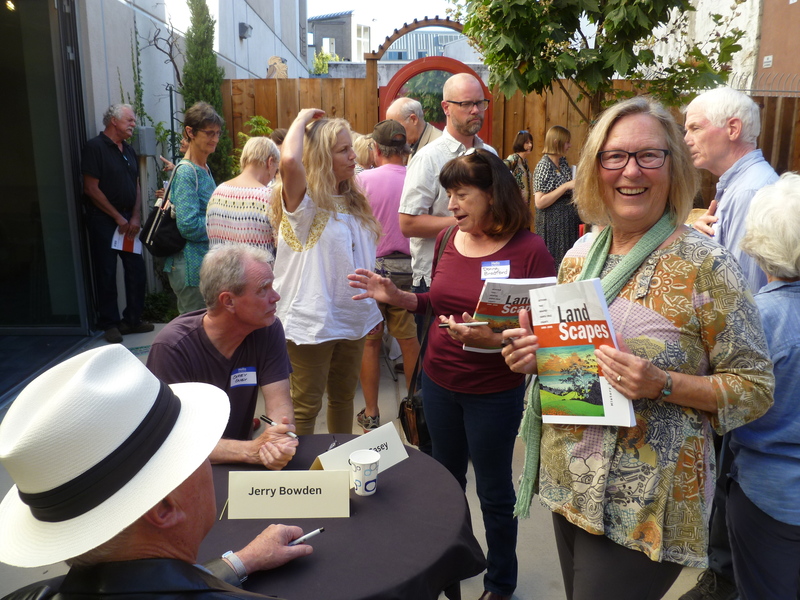 The people who do this work – the staff & volunteers, authors & editors – are incredibly thoughtful, amazingly diligent, and extremely capable professionals, & our community at large is very fortunate to be the beneficiary of their ongoing, labor-intensive local history efforts. Writing this history article was very hard work…an act of love, really. In my case, the love is for this particular patch of earth I live & walk on. While my article tries to answer still-pertinent questions, it’s mostly an ode to geography & how fundamental it is to human evolution. The grounding of our communities. My long-time friend Elizabeth Schilling was the editor and primary inspiration for this history journal. Joan Martin, long-time friend of Sharon Cadwallader of the Whole Earth Restaurant, was my gently assertive & wonderful editor. Marla Novo was our concert master and is the fabulous Archives & Collections Catalyst at the MAH. **!!YAY!! ** Thank you so much, Elizabeth, Joan, Marla, Frank Perry, Lisa Robinson, Carey Casey, & all the rest!! I am in awe of historians everywhere. Viva Los Esteros! This entry was posted in Cackling Crone, Our Primate Nature and tagged arana gulch, broadway brommer road, capitola, capitola mall, elizabeth schilling, history journal 9, LandScapes, live oak, live oak annexation, live oak history, mah, rodeo gulch, water, water surcharge. Bookmark the permalink. Terrific piece of research, Linda! Your article is such an accomplishment! You’ve made this so accessible by linking your article. Thank you. Now, or soon, I hope you have more time for your blog and other writing. Excellent and interesting article. This clearly points out the differences between the growth of the central valley cities and the growth ( or lack thereof ) of northern California coastal cities. If one looks at Fresno or Modesto for example, the lack of an involved population, a different geography, and the existence of affordable housing made rampant annexation a non-controversial issue. One could easily use this article as the basis to begin a discussion as to whether an urban area is better off ( measured by say quality of life, just to make things difficult ) with multiple smaller cities (eg. Santa Cruz, Salt Lake City, or Pittsburgh) or one megacity (eg. Phoenix, Houston or Oklahoma City).